سواءً كنت مسافراً بغرض السياحة أو العمل، Cadell on the Murray Motel Resort هو خيار عظيم للإقامة خلال زيارتك للمدينة. لا يبعد الفندق كثيراً عن مركز المدينة، فهو يقع على بعد 5km منها. في حين يستغرق الطريق منها إلى المطار حوالي دقيقة. إن سهولة الوصول من الفندق إلى المعالم السياحية الشهيرة الكثيرة في المدينة هو استثنائي بحد ذاته. يقدم Cadell on the Murray Motel Resort خدمات لا غبار عليها وكل أشكال اللياقة وحسن الضيافة اللازمة لإسعاد ضيوفه. تتضمن الميزات الرئيسية في هذا الفندق: خدمة التنظيف يوميًا, واي فاي مجاني في جميع الغرف, مجهز لذوي الإحتياجات الخاصة, مرافق مخصصة لذوي الاحتياجات الخاصة, تخزين الأمتعة. في الفندق غرف نوم يتجاوز عددها 26، كلها مجهزة بعناية وجمال وبعضها مزود بـ تلفزيون بشاشة مسطحة, بياضات, مرآة, مناشف, اتصال لاسلكي بشبكة الإنترنت (مجاني). يمكنك الاستمتاع بالأجواء المريحة التي تقدمها مسار جولف - ضمن 3 كم, حمام سباحة خارجي, صيد السمك, ملعب للأطفال, ملعب تنس طوال النهار. استمتع بخدمات لا يعلى عليها وعنوان ذو اعتبار في Cadell on the Murray Motel Resort . يفرض العقار سياسة صارمة على مجموعات البالغين الذين يقيمون بداخله، وتحتفظ بحق رفض الحجوزات في أي وقت تسبب النزلاء في مضايقات للآخرين. لطرح أي استفسارات أخرى، يُرجى الاتصال بالعقار مباشرةً. I'd only just got back from Cadell Friday, we have our ladies golf trip staying there each year. Plus my husband and I go there for a break many times during the year. The place is absolutely beautiful, wouldn't think of staying anywhere else when we go to Echuca. Thanks so much for your review John - much appreciated and so great to hear you enjoyed your stay. The heater was on when we arrived which was great as it was a very cold day. Security, parking, and service all great. Would stay there again. To save on your electricity would recommend a rubber lining on your front door. So glad you enjoyed your stay and your warm room on a cold evening Philip! Many thanks. could not belive the location, the room size, the cleanliness, absolutly amazing!!! best place on the Murray. Thank you Edna - we agree it is the best place on the Murray! Thanks Stuart, we look forward to seeing you again! Love the refurbished rooms and everything about this motel. Could not fault anything. Room was very clean & comfortable & our cooked breakfast was delicious. Thank you. Much appreciated Roslyn, hope to see you again sometime. So glad to hear you had a relaxing time weekend Elizabeth, thanks so much for your review. The room we had was spacious. The room is a few meters away from the river. Great for fishing! We also went to a local Sunday market which is a short drive away. Hi Lindy, thanks for your review - the rooms are beautifully spacious aren't they - and the grounds. Glad you had luck with the fishing. The resort is a little out of town, but don't let that fool you as the service was great, rooms clean, very quiet except for the paddle steamers occasionally chuffing along the river. A some what 70/80s style but comfortable never the less. Terrific spot and we will go back. Hi Warren, replying to reviews and notice yours is from way back in 2014. I'm a bit late!! Thanks for your fantastic review though - you'll be glad to know the rooms have been fully renovated and don't offer that 70's feel anymore! :) Still the same great service, clean rooms and wonderful river outlook and atmosphere. 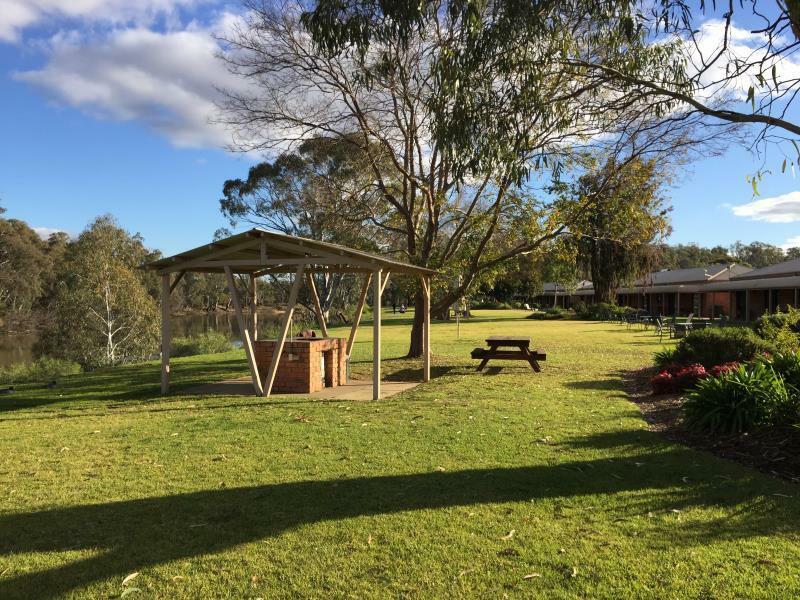 Quiet and clean motel with a great aspect overlooking the Murray River. Thank you for your review Carol, so pleased you enjoyed our clean quiet and picturesque motel. The location was excellent, close but far enough away with a view to kill for, rooms were good standard & staff great. What a wonderful review Paul, thank you - I'm just sorry I hadn't seen it on here in all these years!! Ben and I are still here and have seen out the renovation of all our rooms to 4 star, tennis court and pool renovations and a new conference/function room. Hope to see you again sometime so you can enjoy Cadell again, and sorry again I've only just read your wonderful and much appreciated review. Wonderful . Peaceful . Great surroundings . Value for money. Very comfortable. Very relaxing. Easy driving/walking to shops, fish from the banks of the murrayat the motel without going for long drives. Easy check in check out with very friendly male staff whom i dealt with, a pleasure to stay at. 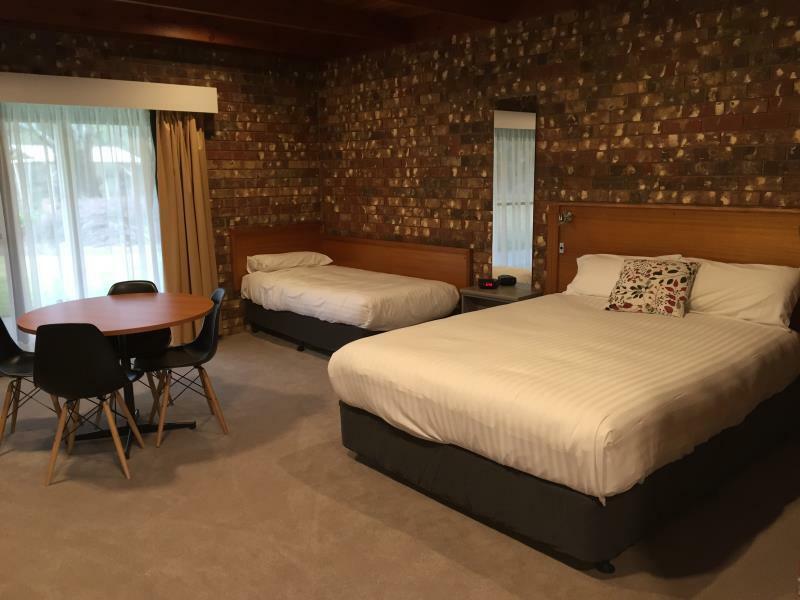 The hotel is very clean, quiet and located facing the Murray River. Our stay at the Cadell on the Murray Hotel is excellent. We had clean and comfortable room. We had a relaxing atmosphere. Rooms are spacious, very relaxing, I keep coming back. Madison day spa is just down the road.fantastic. Nice friendly service with a smile Murray river views garden setting mighty fine breakfast.